We have gathered lots of information to help us with our walk this year. The Continental Divide Trail isn’t really a complete path, but is a mix of walking trail, vehicle track, cross country routes and suggestions. Our intended start to the route from Columbus New Mexico will not actually cross the official trail or the actual Continental Divide until about 150 miles! 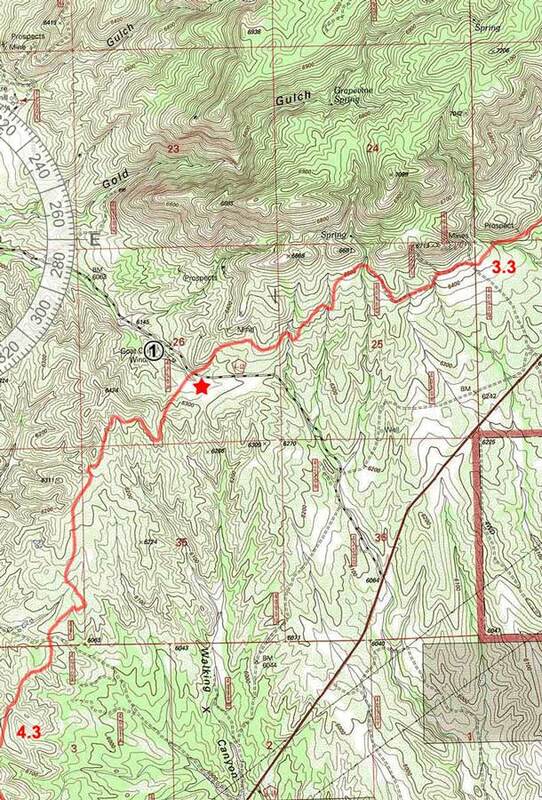 We are choosing this route as we think it will be more interesting and it has potentially better water sources. Brian loves maps and has collected various types for the trip starting with Delorme state road maps for an overview of each state. These provide us with a view of nearby towns, roads and route options for our walk. We also have some Trails Illustrated maps which are available for popular areas such as Yellowstone and Glacier National Park in Montana – these are about equivalent to UK OS maps. Our main maps though are those produced by Jonathan Ley, who hiked the trail in 2001 and has since produced maps available on CD and updated each year with hiker comments. The trail is everchanging- new trail gets built, better options are found, trail gets flooded- and Jonathan updates his maps with these details. A gr eat resource! Jim Wolf at the CDT Society also produces excellent guides to the trail, less frequently updated than Jonathans maps but again very useful and we will be carrying these. Finally we have town guides from ‘Yogi’. She has researched the details of towns near to the trail with overview street maps, useful addresses of POs, motels, gear shops, groceries, stove fuel availability. We will be thankful for these!